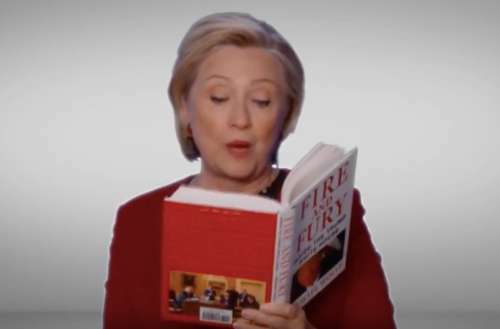 Last night’s Grammy Awards included a hilarious Fire and Fury sketch skewering U.S. President Donald Trump. It had A-grade reads on the Commander in Chief and an unexpected political celeb appearing at the sketch’s conclusion. Grammys host James Corden began the segment by mentioning that the Grammys also give out an award for Best Spoken Word Album to the narrators of audiobooks. These awards have previously been given to former presidents Bill Clinton, Barack Obama and Jimmy Carter. And, Corden mentioned, a book about Trump may also be up for the award next year, but Corden wondered who would narrate it. 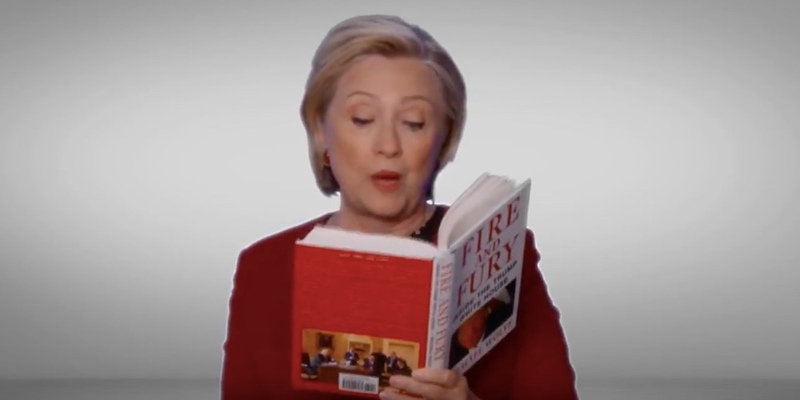 Thus began a hilarious, star-studded sketch where various celebrities read excerpts from Fire and Fury, the recently released salacious tell-all about the Trump administration. RELATED | Donald Trump Drinks 12 Diet Cokes Each Day, So Maybe We Don’t Need Impeachment? Sometimes you read the book, Donald, and sometimes the book reads you.